One of the BEST broccoli casserole recipes! 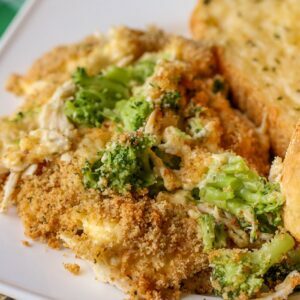 This Cheesy Chicken Broccoli Casserole is a simple, quick and delicious dinner filled with chicken, broccoli and cheese and topped with buttered bread crumbs! 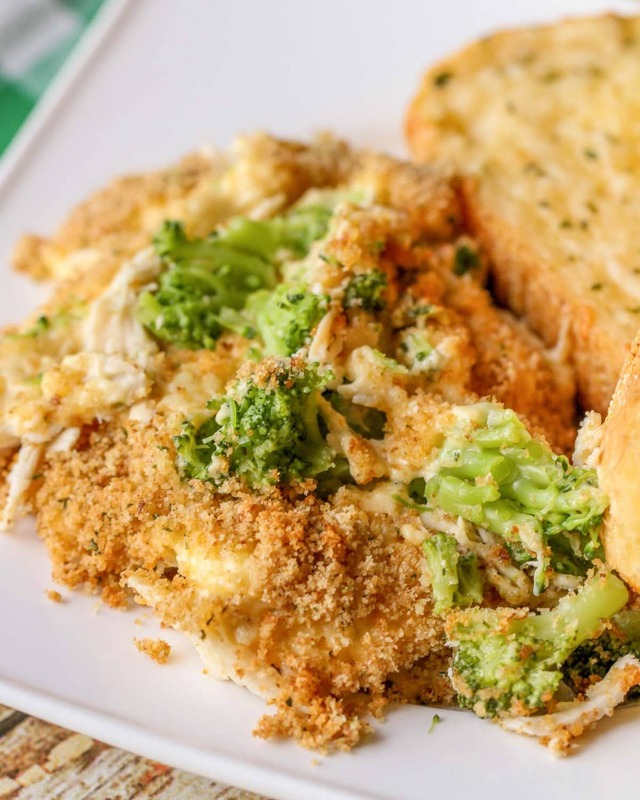 The whole family loves this easy chicken broccoli and cheese casserole. My mom has been making this Cheesy Chicken Broccoli Casserole for as long as I can remember. It was one of those dinner recipes I cringed about because it was full of BROCCOLI!! Yes, I’d eat the chicken and everything else, but would try to spread the remaining broccoli pieces all over my plate to make it look like I had eaten more than I had. Begin by cooking your broccoli, draining it and placing it in a 9×13 pan. Then layer the shredded chicken on top (for a post all about the best ways to shred chicken GO HERE). 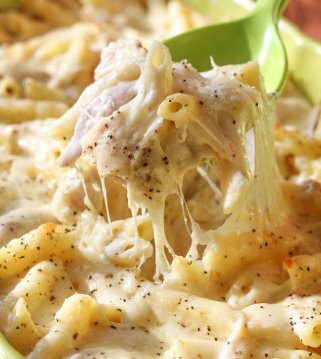 In a bowl, mix together the soup, mayo, lemon juice and cheese and then spread over the chicken. Put melted butter and bread crumbs in a Ziploc bag and shake to mix. Then pour over the soup mixture and bake at 350 for 35 minutes or until heated through. 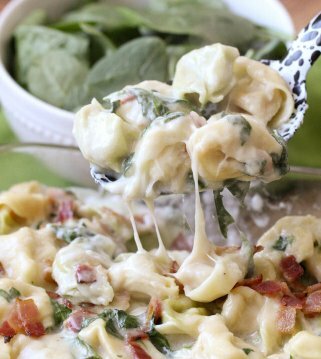 How can I add variety to broccoli casserole? Replace the cheddar cheese with something different such as a Mexican cheese blend. Shred a store bought rotisserie chicken or replace the chicken with shredded beef. Exchange broccoli for cauliflower or asparagus. Add some spice using tabasco or red chili flakes. Add a can of black beans. Replace a can of cream of chicken with a can of cream of mushroom. Replace the bread crumbs with french fried onions. How to store and reheat Chicken Broccoli Casserole? 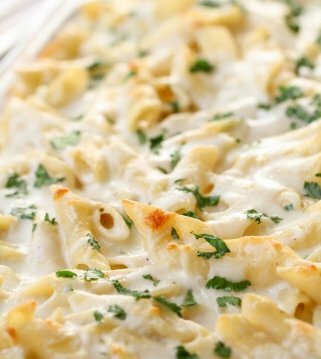 This casserole is very easy to store and reheat. Just place in an air-tight container in the fridge for up to 3 days. To reheat quickly you can use the microwave. Place the leftover casserole in a microwave safe dish, and heat for 1 minute. Stir and heat in 30 second increments until you’ve reached your desired temperature. You can also reheat in the oven. It takes longer, but the quality of the dish is better than the microwave. Place in an oven safe dish. Heat the oven to 350 degrees and bake for 20 minutes or until it reaches the desired temperature. can i freeze broccoli casserole? Broccoli casserole makes a great freezer meal. Follow the directions as written. Except for adding the bread crumbs. Make sure it is in a freezer safe dish and wrap tightly. Freeze for 2-3 months. When you’re ready to use remove from the freezer, thaw, add bread crumbs and bake at 350 for 35-40 minutes. We are all about simple, delicious casserole dishes at our house so we are glad to have this chicken broccoli casserole back in the rotation. It’s a Sunday dinner favorite! Cook and drain broccoli and put in the bottom of a 9x13 pan. Layer chicken pieces on top of the broccoli. In a medium bowl combine soup, mayonnaise, lemon juice and cheese and mix well. Spread over the chicken. Add melted butter and bread crumbs to a Ziploc bag and mix well. Pour over soup mixture. Bake for 35 minutes or until heated through. Thanks Kristyn for the nice recipe. Have a great weekend coming up. What size package of broccoli does this require? I’m not a fan of mayo so I was wondering if I can substitute sour cream? I think your recipes look wonderful, haven’t tried any yet but plan to. You are so nice! Let me know what you think of the ones you try 🙂 Thank you! My mom used to make this, so when I saw this recipe, I knew I had to try. It tasted just like hers. It is so delicious! I love the breadcrumbs on top! My picky eaters even ate & liked it! I love this quick simple recipe that can put dinner on the table in no time. The sauce on this casserole is so good. You will love the convienence of this recipe! I can’t even tell you how much I loved this! 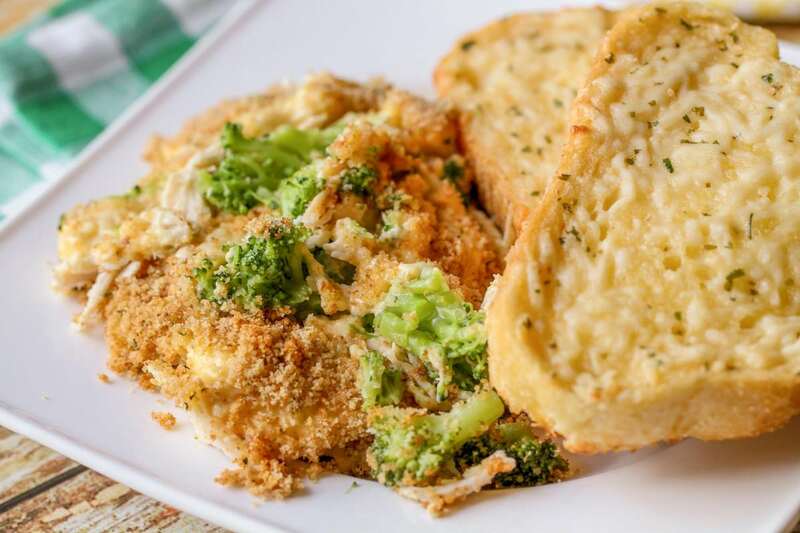 it’s cheesy, creamy, but with a little crunch from the breadcrumbs, just makes it even better! 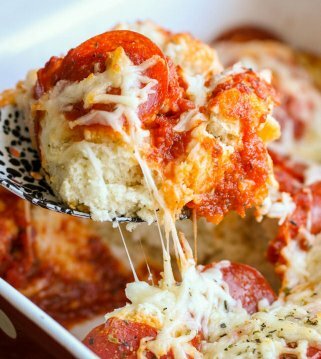 This casserole tastes just like the one my mom used to make! I loved it as a kid & I am so excited to have found this recipe. it will definitely be on my rotation! It’s creamy with a nice crunch from the breadcrums. Been making This recipe for awhile now. My favorite part is the the sauce which puts it over the top. For me its a seMi healthy dish wiTh all the broccoli and chicken! I make a simular recipe but i chop the brOccoli up tiny and add about 2-3tbs curry Powder. Its amazing the curry powder is the key ingredient…heaven!!!! Sounds perfect! Thank you for sharing!